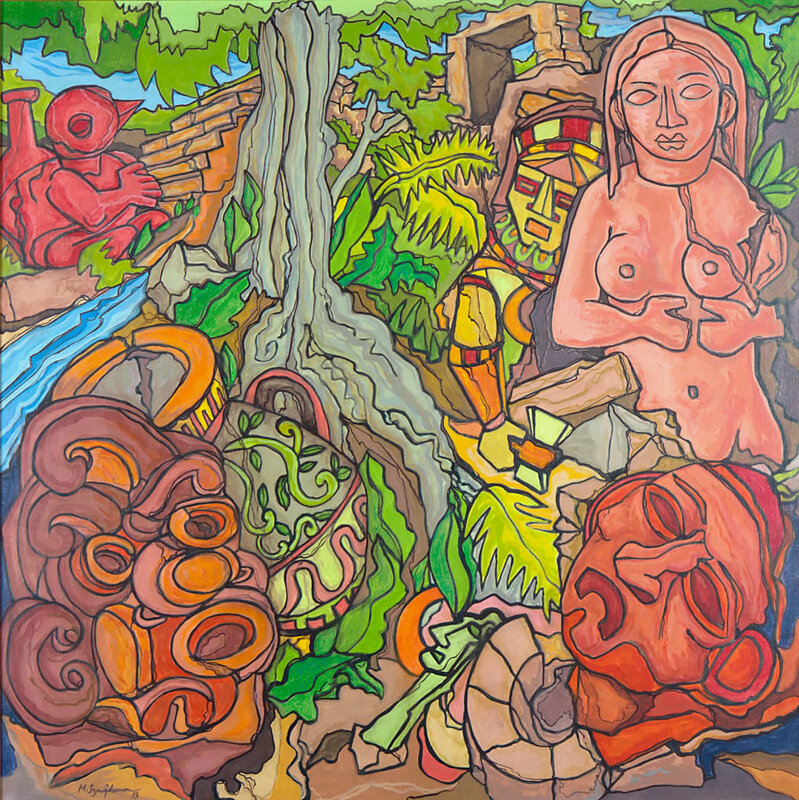 A beautiful, colorful cubist-inspired original artwork depicting a forest scene painted in acrylics on canvas, featuring a stream and numerous other symbolic elements — South American masks, sculpture, pottery, a bird, and architecture by the Venezuelan-raised, New York artist Marius Sznajderman (1926-2018). Dimensions: 36" x 36" x 1.5"
Van delivery included with price within 60 miles of Milford, NH. Shipping not included in sale price. Crating fee ($150) and freight forwarding.